Double inlet left ventricle is one of the so-called Single Ventricle congenital heart diseases. 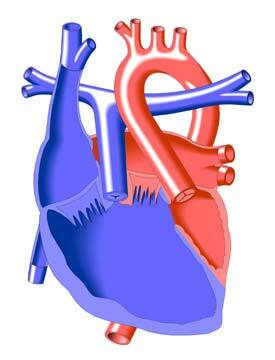 Single Ventricle refers to the congenital heart defects in which the heart functionally has only one pumping chamber. Examples are Tricuspid Atresia, Hypoplastic Left Heart Syndrome, Double Inlet Left Ventricle, and Double Outlet Right Ventricle. Other defects (e.g. some forms of Atrioventricular Canal Defect and Pulmonary Atresia) may create single ventricle conditions in the heart. Adult patients with these defects will usually have had a Fontan Operation in childhood. In cases where early treatment consisted only of a Glenn procedure and/or the insertion of a shunt between the systemic circulation and the pulmonary artery (e. g. modified or classic Blalock-Taussig Shunt), the patients may be candidates for the Fontan in later life. Very rarely, a person with Single Ventricle reaches adulthood without treatment and without symptoms because of congenital pulmonary stenosis. These criteria will be evaluated through a variety of tests. A chest x-ray, echocardiography, and MRI (Magnetic Resonance Imaging) will show left ventricular function and other aspects of anatomy and cardiovascular condition. An electrocardiogram is used to check for the presence of arrhythmias (irregular heartbeats). In addition, a cardiac catheterization procedure will be used to take hemodynamic measurements (blood pressures and concentrations of oxygen and other gases) in the pulmonary arteries and to evaluate their structure. In some cases where a Fontan operation is possible, the atrioventricular valve will need to be repaired or replaced. The prognosis after this operation for single ventricle patients is better than for other treatments, and improvements of surgical technique continue to be made. Life-long medical monitoring, including the prescription of antibiotics to guard against endocarditis (infection of the heart's internal lining), will be necessary for all single ventricle patients. Adults having a traditional Fontan (main pulmonary artery to right atrium or right atrial appendage) in childhood often require conversion to a modified Fontan (Lateral Tunnel or External Conduit) to decrease the risk of stroke and arrhythmias. All patients after a Fontan repair require anticoagulation therapy with at least aspirin or Coumadin ®.